In which G.M. Norton finds his musings printed in two magazines. I enjoy writing so when the chance presents itself to pen a little something for a magazine, I readily accept the invitation. Not content with making it into one printed magazine though, I find myself in two at the same time. 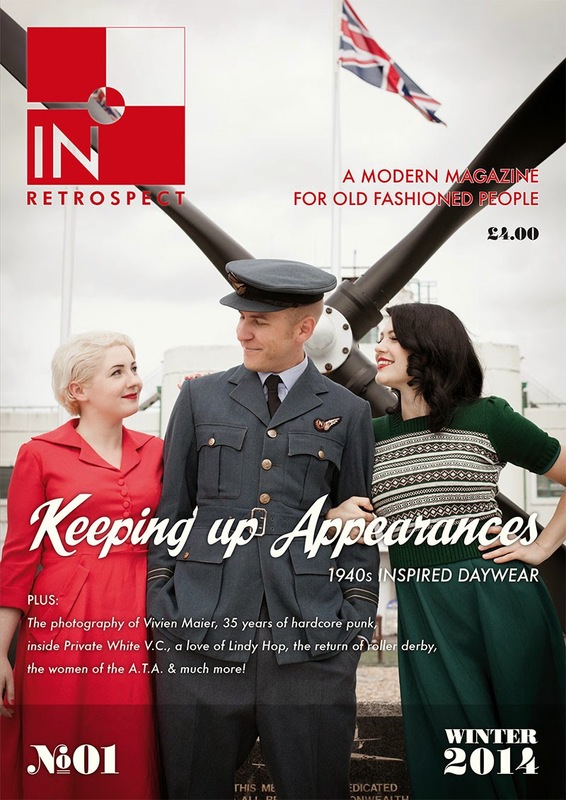 The first is for In Retrospect magazine. 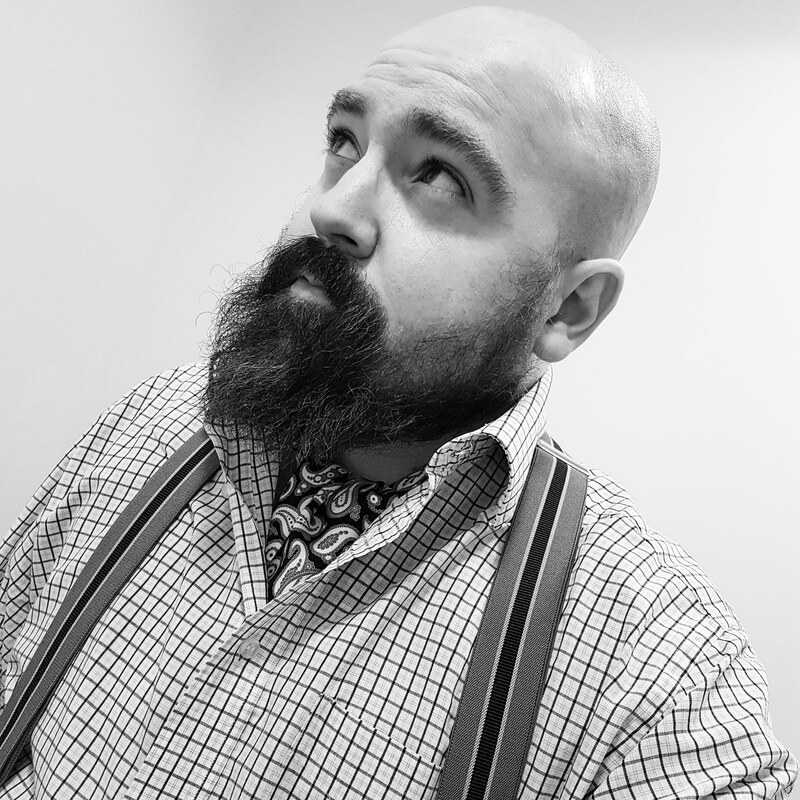 As regular readers may be aware, I've contributed to three digital editions to date, as their menswear style aficionado. Following a successful Kickstarter campaign to raise money to crank up the printing press, the first ever printed In Retrospect is available to buy from this Monday, 1st December 2014. Inside it, you will find a feature by myself on Private White VC. Private White was a soldier during the First World War who inspired a Manchester menswear brand, now ably led by his great-grandson, James Eden. The second publication is the intrepid Ernest Journal. Once again, I've penned three features for their digital magazine as their unofficial grooming expert. As well as producing a daily blog and iPad magazines every two months, Ernest also publish two exquisite paper versions twice a year. 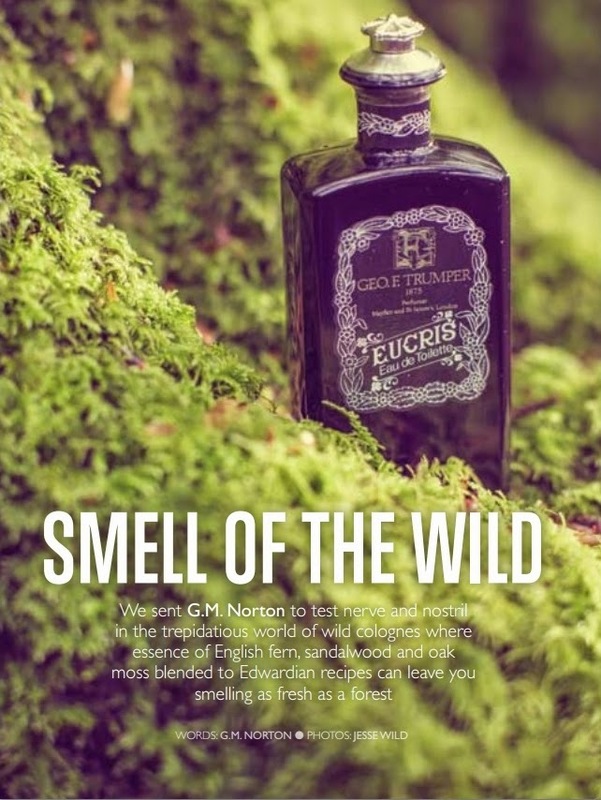 Somehow, they've saw fit to include my review of colognes in Issue 2 of their printed edition - namely, Penhaligon's English Fern, Trumper's Eucris and the Portuguese Musgo Real. Issue 2 is now available to order. I may be biased but both publications are really quite wonderful. Unlike some magazines that claim to be vintage, In Retrospect truly is and is a must-read if you have an interest in these matters. Meanwhile, Ernest is so lovingly put together with majestic photography to bring to life the beautifully crafted words. 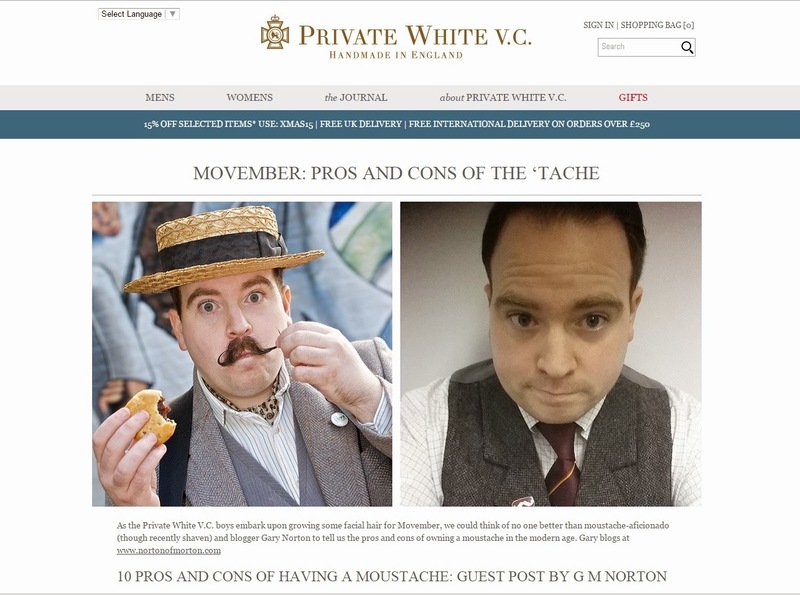 Following my visit to the Private White factory, I've since been asked to write something for their own online journal on the pros and cons of sporting a lip weasel. Of course, I was only too happy to do so. After all this writing, I think it's time I put my feet up. Toodle-pip! Many thanks, Porcelina! I am terribly proud, I must say. In Retrospect is a must-read for you, my dear.